Conversions are the cornerstone of any successful PPC strategy. Every visitor who clicks your ad is traffic you pay good money for, meaning each one that doesn’t convert is hitting you in the pocket. Maximising conversions after ad clicks is vital to getting the best return on your investment and you’ll find plenty of online articles offering advice on how to do that. You’ll find plenty of articles online offering advice on how to boost conversion rates, but they tend to offer up the same basic advice. So today we want to go deeper than the basics with eight uncommon ways to increase your PPC conversions. It’s kind of ridiculous that we can call this an “uncommon” way to increase PPC conversions, but the internet has a serious problem with speed. This has prompted Google and other tech firms to get behind initiatives like Accelerated Mobile Page (AMP) and Instant Articles – all for the sake of creating a faster web, especially on mobile. The simple truth is this: page loading times are the number one conversion killer for most brands. 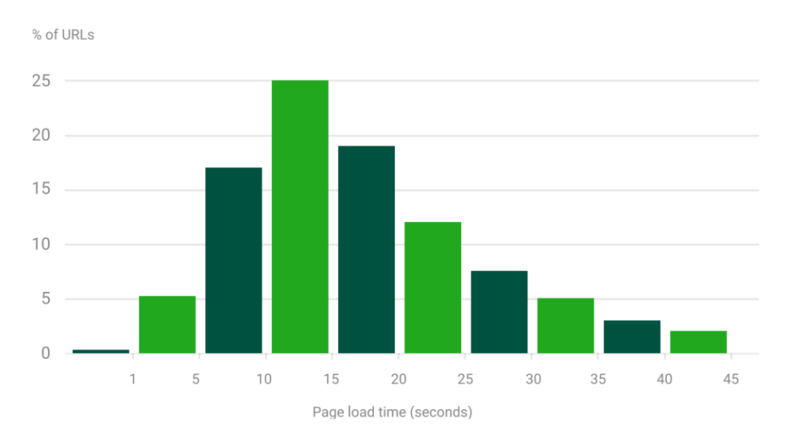 People expect your pages to load in two seconds or less but Google data shows the average loading times for sites on mobile is 14 seconds on a 4G connection with things getting even worse for people on 3G and slower connections. So, seriously, get your page loading times in order if you want to maximise your PPC conversions. You’ll be beating the vast majority of your competitors hands down if you can reach that two-second target. Micro-moments is a term coined by Google to describe the small actions people take online that eventually result in a sale. The idea is to catch leads at a very early stage of the buying process and guide them along the path to purchase, allowing you to turn low-quality leads into paying customers, instead of letting them buy elsewhere at a later stage. 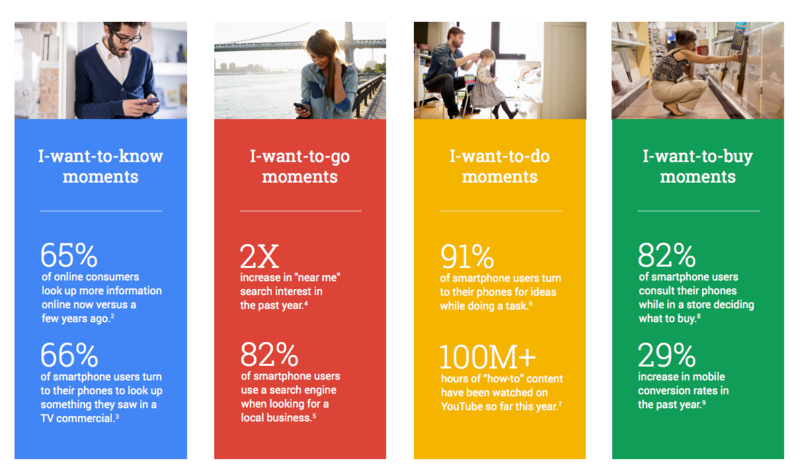 Different micro-moments prompt people to conduct different kinds of actions, some of which have a much higher purchase intent than others. Google users, for example, tend to have a higher purchase intent than Facebook users because they’re actively looking for something. Facebook users, on the other hand, are casually scrolling through their News Feed until your ad catches their eye. As a result, AdWords and Facebook typically generate different kinds of leads and your ad campaigns need to reflect this. Mapping out the journey of micro-moments your target customers experience along the buying process tells you what their needs are at each stage, the kind of ad messages you should create and what kind of conversion to target with each campaign. Get this right and you’ll be able to guide people from the very first stage of the consumer journey, all the way to the buy button. Once you get micro-moment visitors onto your site you can create remarketing lists based on the actions they take there (AdWords). This allows you to create lists for every stage of the buying process and choose which actions qualify users for each stage. Google will then automatically add users to the relevant list when they perform one of your chosen actions. Now here’s where the magic happens. You create remarketing campaigns for each list, using ads designed to move them on to the next one. And you keep this going until people find themselves at the final stage of the consumer journey, confirming their payment details. With your remarketing lists set up like this, all that’s left is to create remarketing ads that encourage users to take the next action. But you should have a good idea of what ad message and conversion goal will make this happen because you did such a good job of mapping out your target audience’s micro-moments earlier. Make no mistake about it, email marketing is important to every online brand and you can also use those lists of yours to increase PPC conversions. AdWords, Facebook, Twitter and (soon) LinkedIn all allow you to upload email lists and target these users based on a wide range of actions. For example, with AdWords Customer Match you could target every previous customer, people who bought a specific product last Christmas or users who downloaded one of your eBooks. Next, you create ads tailored to each these audiences and then Google matches your email list with other Google account holders that show similar online behaviours. So Google is essentially finding new potential customers for you, based on actions your existing customers have already taken. Facebook also allows you to target beyond your existing customers and email lists with Custom Audiences. So build those email lists of yours, because they’re not only good for email marketing; they can increase your PPC conversion rates and generate new leads you would never encounter otherwise. To build those all-important email lists you need web forms that encourage people to sign up for your offers. The problem is most forms don’t convert too well and there’s something of a science to creating forms that inspire people to take action. Building great forms takes a bit of time and fine-tuning but the good news is there are tools like Leadformly to help you maximise conversion rates as soon possible. We recently published an article recommending our favourite form analytics tools, if you want to take a look. No matter how good you are at guiding PPC traffic along the buying process, there will be some that wander off track. There will also be visitors who fail to reach pages that trigger your remarketing strategy and those who simply aren’t convinced by what you’re offering – at least not the first time around. These are lost leads you might never see again if you let them slip away now. So don’t sit there and let them walk away. Make sure every page has a call-to-action, giving them a good reason to stay involved with your brand. Ask yourself what will inspire people who are looking at this page right now and craft a call to action that stops them leaving. In terms of delivering these CTAs, you can insert them into pages or use tools like Wishpond and OptinMonster to integrate exit popups on your site. 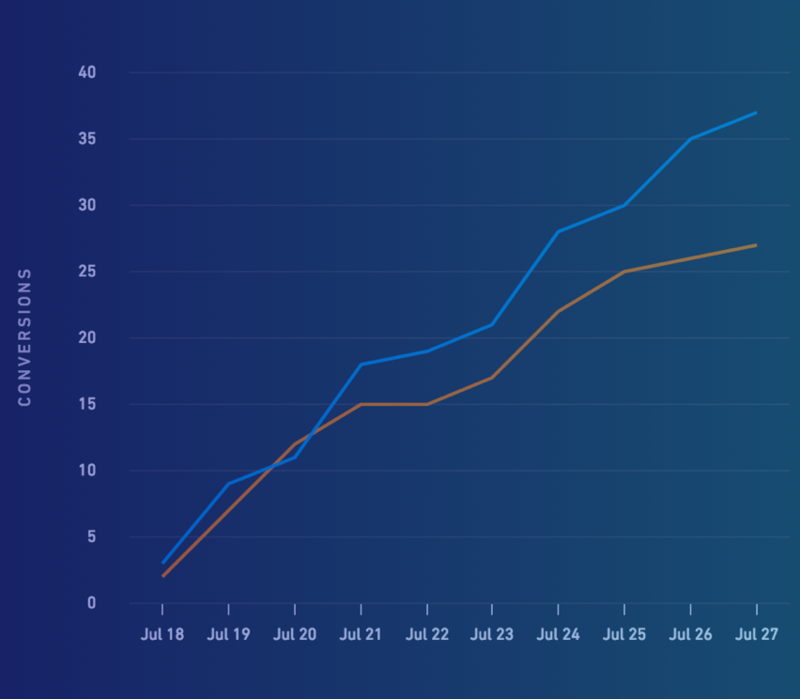 There’s a relatively new tool from Unbounce called Convertables, promising to help you “get more conversions from every page on your website”. As we’ve mentioned before, exit popups may raise a few UX eyebrows but they seriously get the job done and you’re about to lose these visitors anyway – so why not give it one last try? That’s it. Although you’ll want to jazz up your buttons a little with some CSS so users can easily understand the click-to-call function. You can also use CSS to hide these buttons for desktop users or replace them with buttons that automatically call via Skype. If in doubt, test different options. Finally, there are WordPress plugins that will take care of all of this for you, if you’re keen on scribbling your own code. I’ve touched on this a couple of times today but let me make one thing clear: the best kind of customer is a repeat customer. People who buy once are more likely to buy again – as long as you keep them excited about your brand and what you have to offer. You already know how to target existing customers with PPC ads because we looked at remarketing and uploading email lists earlier in this article. What you need to do now is build a profile on your existing customers so you can create ad messages that whet their appetite for future purchases. What related products/services will interest each customer (based on their purchase history)? What do your customers need/want in between purchases? The first question is important because many people buy phones on an annual basis but software customers will ideally be yours for many years. You need to know when your customers are likely to get the itch to buy again and this depends entirely on what you’re selling. Repeat customers don’t necessarily buy the same product every time, of course. Phones are better with accessories, software can be upgraded to premium packages or combined with other platforms and just about every purchase opens the door to buying related products. Finally, it’s important to keep customers sweet between purchases by addressing their needs after the initial sale. This starts with exceptional customer service but ask yourself what else you can do to meet people’s needs because this is how you build brand loyalty. By knowing when your customers are likely to buy again and keeping them happy in the meantime you’re in a good position to target them with ads that make them hungry for the next purchase and ensure it’s your brand they come back to when the time comes. So there you have it – eight uncommon ways to increase PPC conversions that you won’t find in your average blog post. As with any modern marketing strategy, the key to maximising your PPC profits is nurturing every lead and ensuring the absolute minimum number of people slip through your net. Each of the tactics we’ve looked at today will help prevent leads you’ve paid good money for from leaving your site before converting in some way – whether it be a purchase or a conversion that brings them one stage closer.